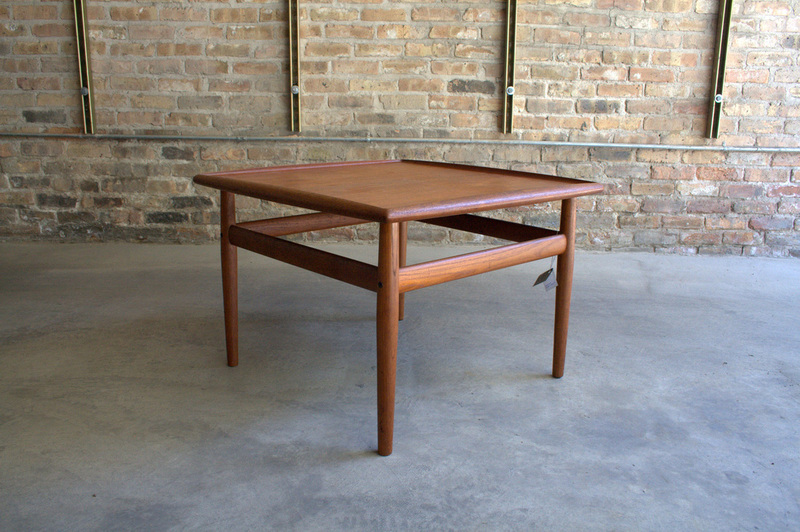 - This is a solid teak side table by Danish great.,Grete Jalk. A nice square coffee or side table with a beautiful sculpted edge detail. Gorgeous!